At GMV workshops, men will be taught reality-based self-defense techniques that are easy and fun to learn. Attendees will be empowered by learning tools they can use to defend themselves and their families from physical harm such as being held up at gunpoint, vicious knife attacks, punches, kicks, and grappling. 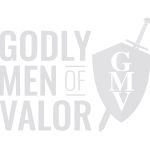 GMV also enables men to become effective spiritual warriors. Being able to defend their home and families from spiritual attacks is a must today. Attendees will learn about spiritual warfare in a real-world application manner. This training equips them to take the battle back to their homes, communities, city, and state all for the purpose of expanding God’s kingdom. The bridge that couples the physical and spiritual is the soul. Soul warfare affects every area of a person’s life. This battlefield is without a doubt the hardest one to fight. GMV Attendees will learn what Soul Warfare is and how to effectively use it to move from victims of the enemy to victors as warriors for the Most High. Ready to take the next steps to your spiritual and physical equipping?